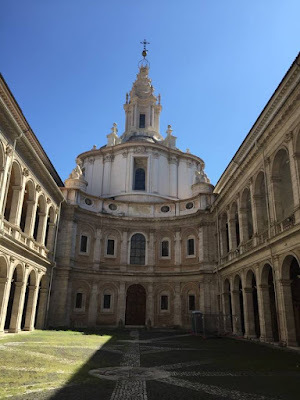 The Baroque church of Sant'Ivo alla Sapienza was designed and built between 1642 and 1660 by architect Francesco Borromini. 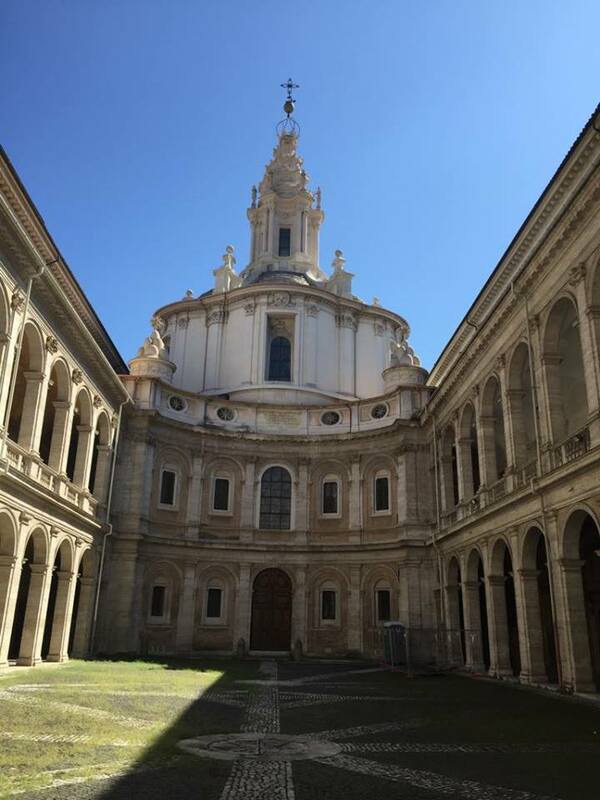 It is connected to the 14th century courtyard of the Palace of the University of Rome and dedicated to Saint Yves, the patron saint of lawyers. 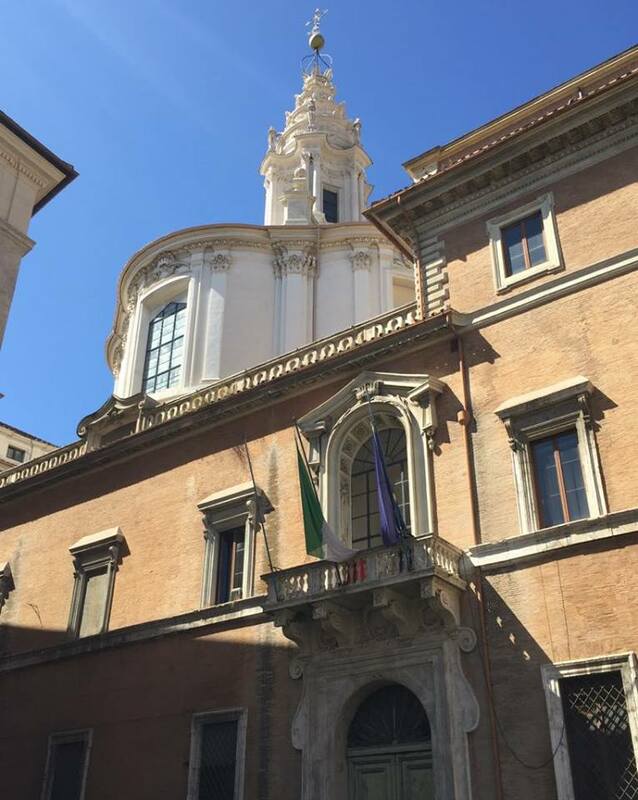 The entrance is through the courtyard from Corso dei Rinascimento. The inside of the church is curved and painted white with stucco heralds of the symbols of the popes who contributed to the funds for the building of the church. In fact all over the interior and exterior are motifs of the papal families — the dragon of Gregory XIII (Buoncampagni), the lion, pears, three mountains and star of Sixtus V (Montalto), dragon and eagle of Paul V (Borghese), bees of Urban VIII (Barberini), the dove, olive branch, and three fleur-de-lys of Innocent X (Pamphilj), and the six mountains, star and acorn of Alexander VII (Chigi). There are few paintings inside the church, although a gigantic altarpiece portraying St Yves by Pietro da Cortona is still in situ.